An extraordinary prize was recently won on Net Entertainment’s progressive jackpot slot, Mega Fortune. Try Mega Fortune in action at Stan James Casino! A €3,949,866.67 prize was recently won on Net Entertainment’s progressive jackpot slot, Mega Fortune via one of the participating casinos. Here at FeC we recommend several Net Entertainment casinos, e.g. Stan James Casino where you also try Mega Fortune in action! The jackpot, which equates to just under GBP 3.3million or US$ 5.3milllion, was a new record payout for the participating casino, Betsafe. It was won by a man in his middle 30s from Norway on Friday March 30th, 2012. He commented: “This is incredible. I couldn’t believe my eyes, and it all happened so very fast!”. The man is the latest in a string of multi-million winners on Net Entertainment’s progressive jackpot slot Mega Fortune. In September 2011, the game awarded a single prize of EUR 11.7million, a world record jackpot payout for an online slots game. In January of this year, the jackpot fell again after building to a value of EUR 6.9million. Mega Fortune is a progressive jackpot slot, which is part of Net Ent’s jackpot network, pooling the liquidity of players from several of Europe’s largest online casinos like Stan James Casino. 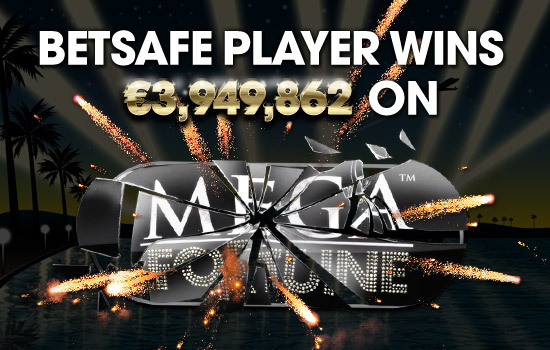 During the last 26 months Net Entertainment’s Mega Fortune has paid out just over €30million to lucky players around the world. Try your luck at Stan James Casino here!